Now accepting applications for the next leadership classes, youth and adult! Limited spots available. Click “adult” or “youth” tab to check out dates and apply! Sheila Thomas – Southwestern Publishing Group, Inc. ALUMNI AND NEW CLASS, please join us on August 10th 8-10am for our annual breakfast at Town Hall. 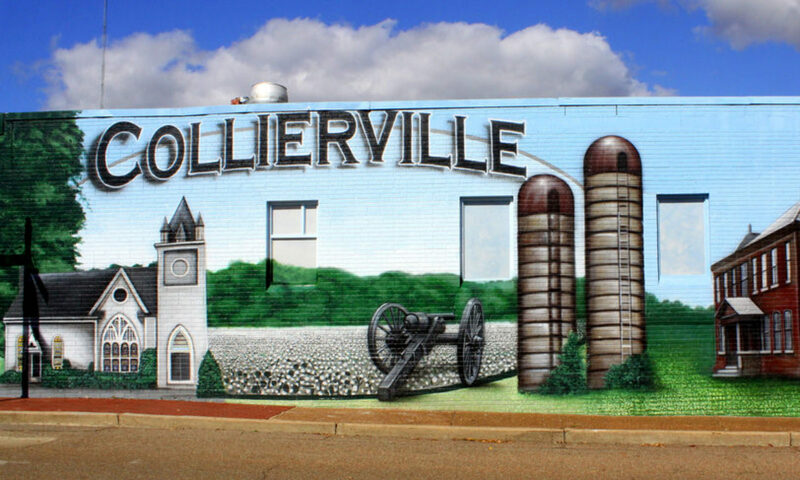 Mayor Bill Morris will speak on the importance of community involvement. Meet the class of 2018, network, and have some breakfast on us! 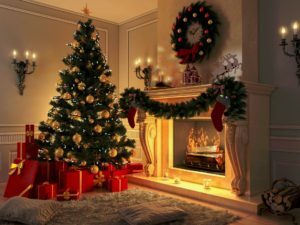 May your days be filled with peace, hope, and joy this holiday season. As always, thank you for your support. SAVE THE DATE – Join us for our 9th Annual Trivia Night at The Quonset! 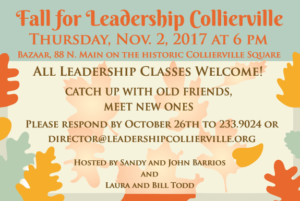 Contact Emily for details and reservations at 901.233.9024 or director@leadershipcollierville.org.